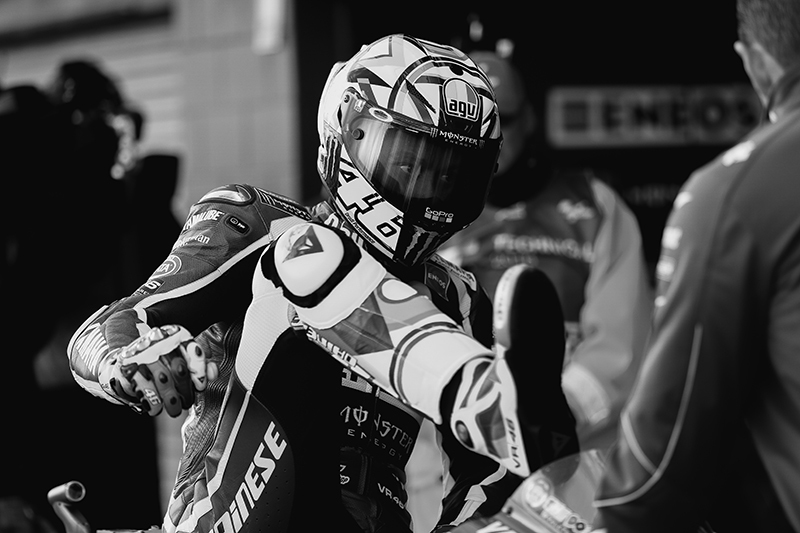 He is more than a talented rider, more than an unequalled champion; he is a natural entertainer and a valuable man. Talking about his talent, it doesn’t really matter if we are talking about 2 or 4 wheels: give him something to ride with an engine to tame and he can do better than anyone else. To some extent, the list of his triumphs is so astonishing to be boring: he has won everything and not just once. 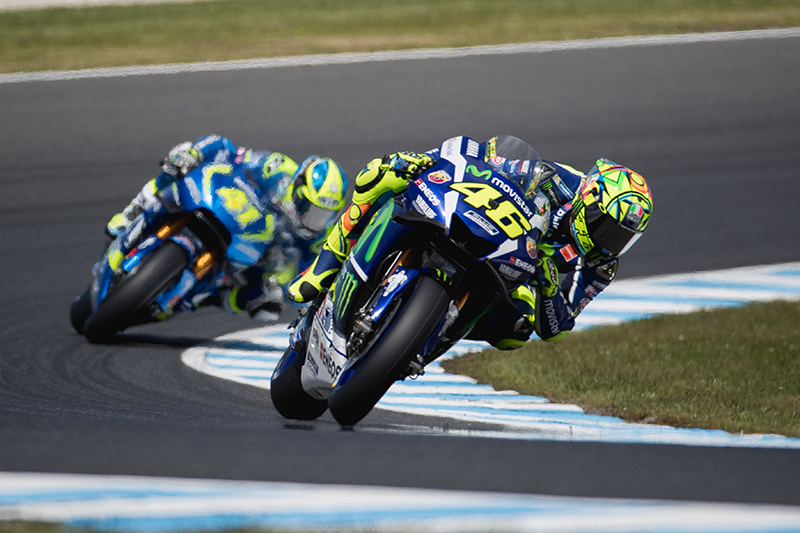 In 15 years of Moto GP – from 2002 to 2016 - he has achieved 6 first, 4 second and 3 third positions. All together in 20 world championships, he has won 9 world titles and 17 podium appearances. The numbers speak for themselves. Yes of course, there are finish lines through which he wrote the history of the motorcycling and you can hear of them everywhere. It’s not difficult to find evidences of his great achievements. There are falls, gigs, interviews, stories that can allow you to understand the prominence of Valentino, the rider, the “Doctor”. Ask the experts about his talent and they can tell you to take Michael Jordan, Tiger Woods and Roger Federer and put this combination in motorcycling. Can you imagine anything better? I would like to tell you something about the man. He was born in Urbino, in the heart of Italy. Still a child, he moved with his family to Tavullia a small country village in the middle of the Marche region, where the views are as gentle and stunning as the good wine and food that you can find on everyone’s table. It might happen to you, like it happened to me a long time ago while wandering with my push bike from Pesaro to an unknown destination, to reach a place where everything speaks the Valentino’s language. The village is yellow from flags hanging from the windows, the number 46 is everywhere. There is quietness, peace, but you immediately realise that there is something strong hidden behind the silent windows. You can feel it: it is the pride to be the place that Valentino calls home. This is what makes him so real yet distant to his opponents: he races, he wins and then he wants to go back home. He is the one called the “Doctor” - his crazy preciseness on detail reflect what is required in medicine. He is the one that paints everything in yellow because it is the colour of energy. He is the one that always rides with number 46 because it is his father’s lucky number. The outcome is breathtaking. It’s a track where every rider would like to ride. It is perfectly conceived; the shape, the bends, the ups and downs, the ground. Nothing left to chance. It’s a 2-mile flat track created to ride motocross bikes with less tread tires to slide better. It’s a playground for expert motorcyclists, but thanks to Valentino’s personality it is much more than a training facility. 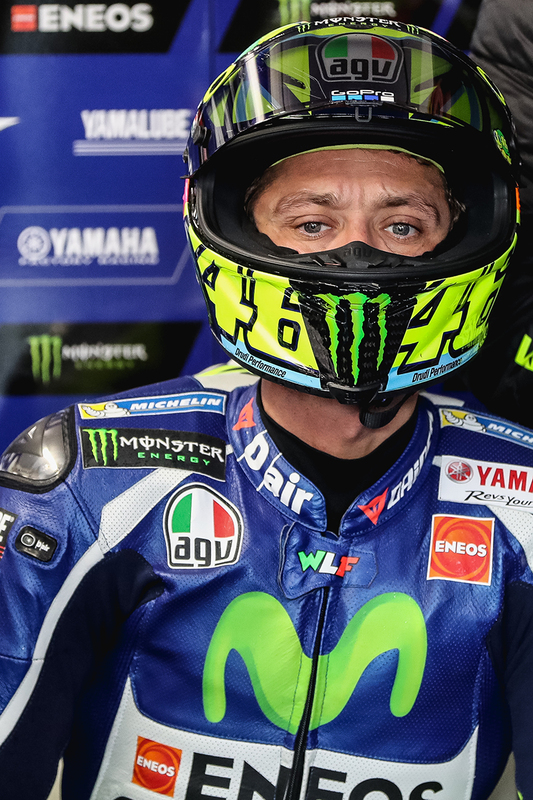 Valentino is not just a competitor; he is a natural entertainer with a strong personality. He burns with desire to compete (and win), his passion and commitment lead him to require perfection in every single thing he does. The Ranch is another perfect combination. It’s a hang up, a place to combine his love for motorcycle and a drip of adrenaline with friendship, food, laughter and good times. It’s the place where the passion for motorcycling fuses with the love for his land and people; where the handover of Valentino’s experience and ability for the new generations is led by passion and the legacy to thrive. Valentino loves his land - Tavullia is the place he wants to go back to after every race. This may sound peculiar for some. He is rich, famous, loved by fans and opponents. He could live and stay wherever he likes, but he wants to go home. This is what makes him true, lovable and close to all of us. As Italians, too often we are not proud enough of our heritage, land and people. We are united only when the celebration of a soccer world championship or something related to a sport achievement comes, then we fall apart and we complain in a whinge that lasts forever. Sometimes life gives unexpected lessons and when it happens that we are far away from home, like we are here in Australia, well, that’s the moment in which you really appreciate where you are coming from, what you left. You start dreaming of it, you feel sick without it. This is why I bow in front of a man like Valentino, a man of power, a man that wrote the history of motorcycling that has decided to give back to his land and people whatever he has been able to achieve thanks to this heritage. He is a rider like the father still is; he grew up with friends and people that in many different ways allowed him to be what he is. Now he is paying back with this admirable demonstration of loyalty sharing his success with them, creating work opportunity there and building a future for the generations to come. “The helmet hides feelings that cannot be understood” – Ayrton Senna. We might not be able to understand the feelings of a rider while bending his bike at over 300 km per hour and pushing himself beyond any limit, but we can - and we should - understand the man.